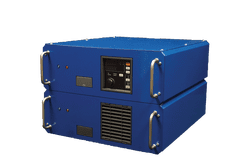 ​In keeping with our same standards of reliability the MARC-A is a true modular switch mode power supply system that is designed for a wide range of industrial and surface finishing applications, including electroplating and anodizing. The MARC-A is forced air cooled and can be configured in any combination up to 3000 amps and 15 volts DC output. The standard communication function is RS-485. The Udylite MARC-A comes standard with a built-in ramp and digital display. For additional information on MARC-A Switch Mode power conversion systems, contact Process Electronics Corporation or your local PEC equipment distributor. • 500 through 3000 amps and 15 volts in any configuration of 500 amp increments.